GMC pulled out all the stops of this year's Terrain. The Terrain has been fitted with everything you’d hope for out of a mid-size SUV and then some. Using the word spacious would be an insult to the Terrain, each of it’s five possible passengers have been provided with extensive space to move around. Looking to establish a more impressive image on the road GMC has fitted the Terrain with features that are sure to turn heads as it passes by its competitors. 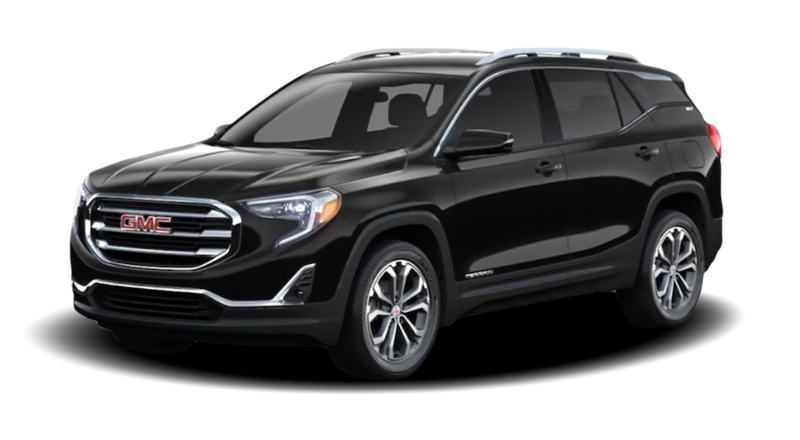 With features like LED daytime running lights, a chrome grille and available 19” inch aluminum wheels the Terrain is sure to stand out in a lineup. Durability and efficiency are crucial for all SUV’s, and the GMC Terrain lacks neither. Designed to take the long ride home, the Terrain can get up to 32-hwy mpg and has been fitted with an eco-friendly engine design. All of these features and much more are available to you today at your local Quirk GMC dealer located in Manchester, NH. The staff at Quirk Buick GMC is dedicated and passionate. We have years of experience helping our customers have the best experience possible. No one knows the vehicles on our lot better than our incredible sales staff. Schedule your test drive today!